Tri-salad is a traditional deli-style platter of three scoops of luncheon salads on one plate. It can be used for a potluck dish or a lunch plate served with bread or crackers. 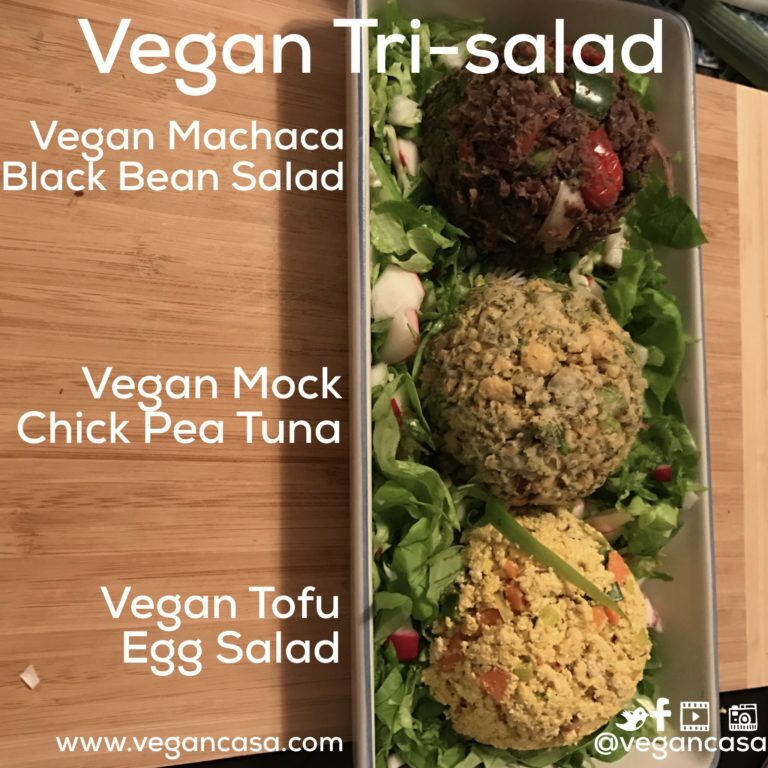 Chef Mair Berkshire created this meat-substitute platter of vegan salad options inspired by her time working in a deli as a teen. Receive a super Vegan recipe every week and more!